Just over half a year is left before the scheduled opening of Tottenham's new stadium. 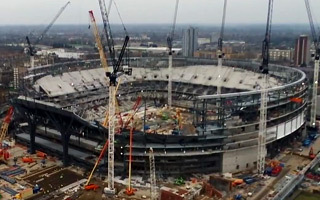 The most expensive private stadium currently under construction is expected to cost £850 million ($1.185 bn) and is changing every day in order to meet the summer deadline. It's clear that the south stand remains least advanced but even in this part of the stadium progress is huge. In fact, only the corner parts are left to be filled and the seating bowl will become almost complete. 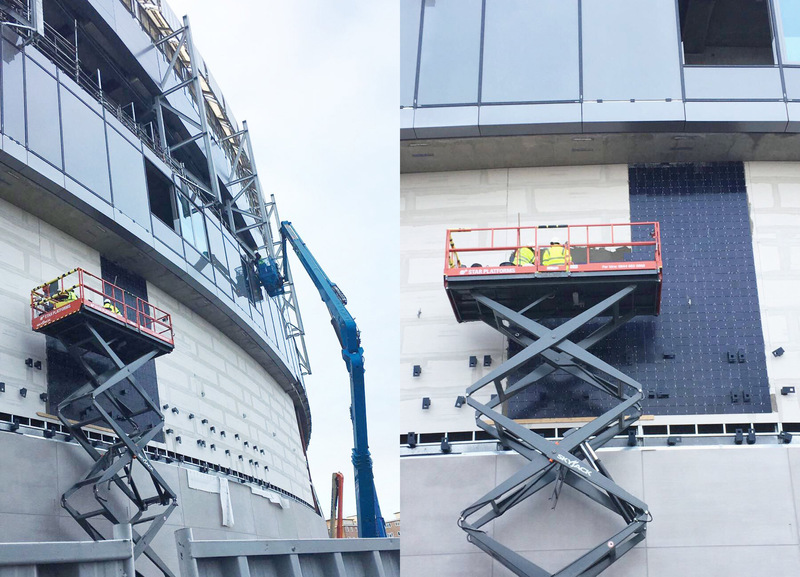 After seats are installed, the south stand will hold 17,000 people on one continuous tier. Below the south end work is already underway on three massive trays that will carry the stadium's natural field. Each expected to weigh 3,000 tons, they're being assembled from 33 single modules. Inside the stadium all of the tension ring of the roof is already in place, awaiting completion of the much larger compression ring (steel ellipse topping the stadium). Once they're both ready, raising of the cable roof can begin. The operation is expected to take some 3 weeks. Currently there is no information about potential delays at what used to be White Hart Lane. Oepning is thus expected at the beginning of or early into the 2018/19 season. Also, the first NFL game will take place this year. On October 14 the Seattle Seahawks will face Oakland Raiders. From 2019 onwards the stadium will host no less than two NFL games per year.